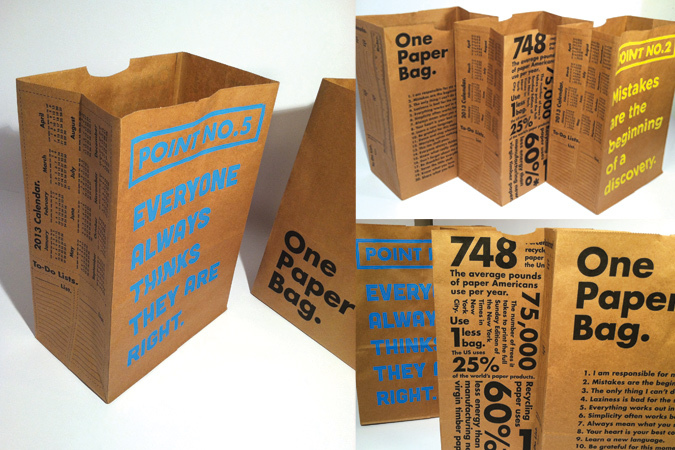 One Paper Bag is a paper bag company designed to manufacture fully functional paper bags. 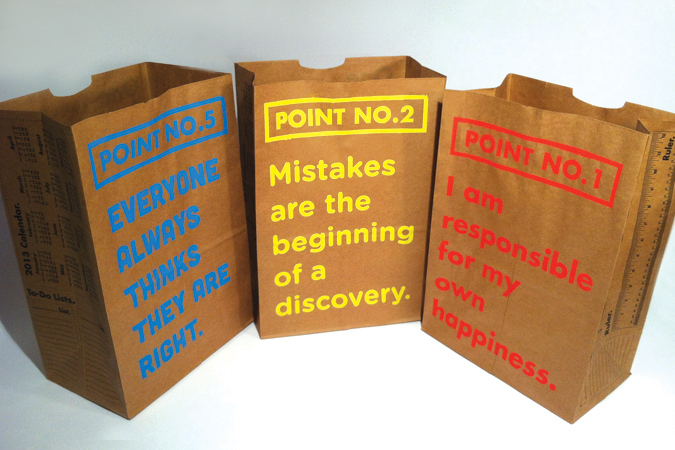 For this series of grocery bags, the two larger sides are comprised of posters which include inspirational life quotes concerning acts of kindness and good-doing for the community. 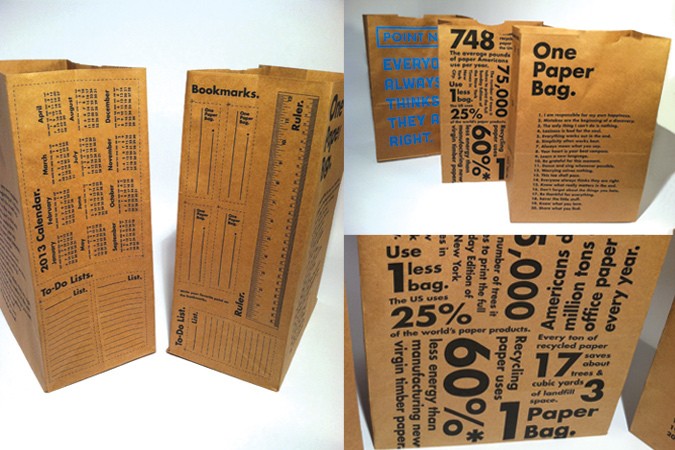 The two smaller sides contain a calendar, ruler, bookmarks, and to-do lists that can be cut out by the user. An infographic poster was also created to inform the user of recycling and paper consumption facts.